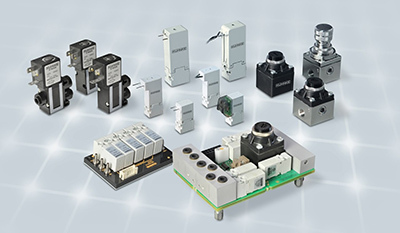 The Kuhnke range was first developed as a specialist miniature pneumatics product. Now it comprises all the types and size of valve, cylinder, actuator and accessory that are in common use today. Kendrion Kuhnke still specialise in advanced miniature pneumatics, particularly where integration with electronics is involved. Typically these include valves, pressure regulators, AS-Interface modules and assembly groups. In our complete portfolio you can find valves up to 1/2", both NPT and BSPT, cylinders up to 125mm (5") bore and a wide range of system logic devices including pneumatic timers, counters, precision regulators and fittings.